Good adventures often follow well-trod paths, and add their own creativity to a tried form. The best invariably carry a personal stamp – they try something new even while benefiting from decades of good practice. These are creative risks which do not always pay off, but when they do, the results are fruitful beyond playing it safe. This is one such adventure. That is: many adventures are basically good (my usual 3 ratings); and some adventures excel at one or two aspects (these tend to receive the 4s). Sision Tower excels at all of them. It breaks new ground, and handles all aspects of a play-ready adventure expertly. 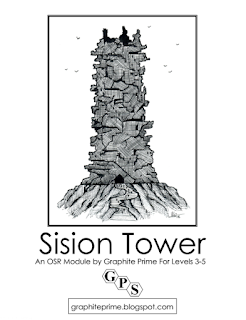 Sision Tower is a 40-page dungeon crawl featuring a massive, otherworldly tower that seems to be constructed of rock slabs in the shape of stacked ice floes. 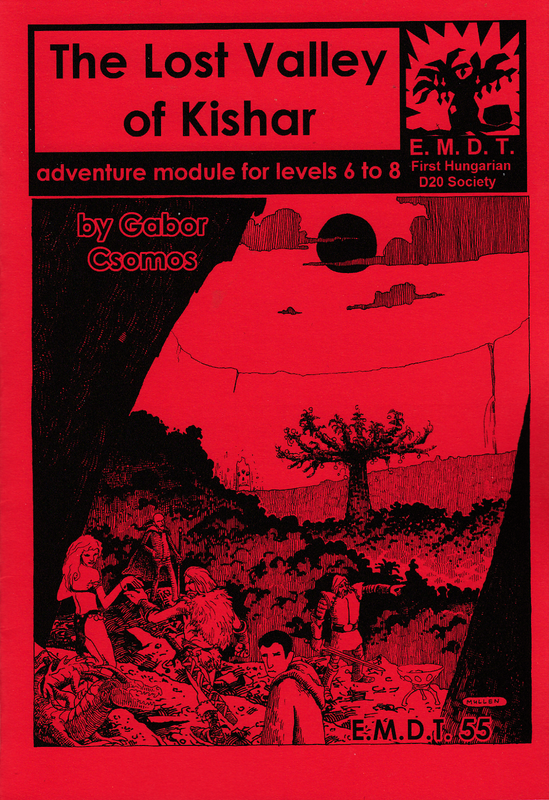 The tower, travelling through space and time, had appeared out of nowhere in a desolate region, and drawn multiple groups of adventurers to its location with a mournful song that could be heard hundreds of miles away. 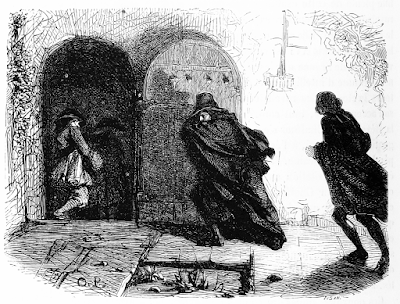 The player characters are neither the only, nor the first explorers in this strange place: they will have to contend with rivals operating within the dungeon, as well as coming across the remains of less fortunate predecessors. 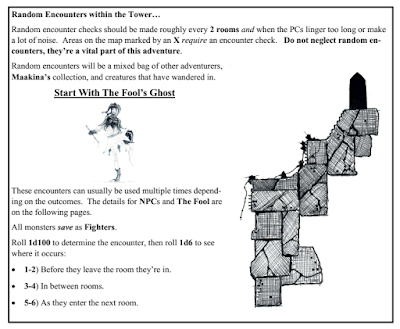 Where lots of poor adventures get stuck on background detail, and fine adventures often discard them to begin in medias res, Sision Tower starts with a straight-to-the-point introduction which wastes no words, but provides flavourful and practical background details which come in handy when running the scenario. Rumours are followed by an overland travel segment, and a description of the “grounds” around the tower proper. It handles small stuff like travel times, gathering information, and finding extra supplies for the expedition in a succinct manner. Later, navigating the tower’s vertical rooms, illumination, random encounters and the rest are all given thought – the necessary stuff is there at your fingertips. The adventure is comfortable to use, an impression which continues through the rest of the module. Polished, skilful presentation is a major strength of the text: there is always enough to communicate mood and play-relevant information, but it never becomes indulgent, or engage in hand-holding. 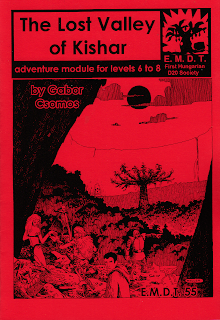 The module calls attention to important ideas at the right places (including GM tips on getting the most out of specific encounters), and is admirably “readable” without straying from a basic two-column layout. It mainly uses small tricks like bolding, boxes (although not boxed text), bullet point lists and random tables to guide the reader, but never as gimmicks. These devices always serve a useful purpose in making the material handy during play. 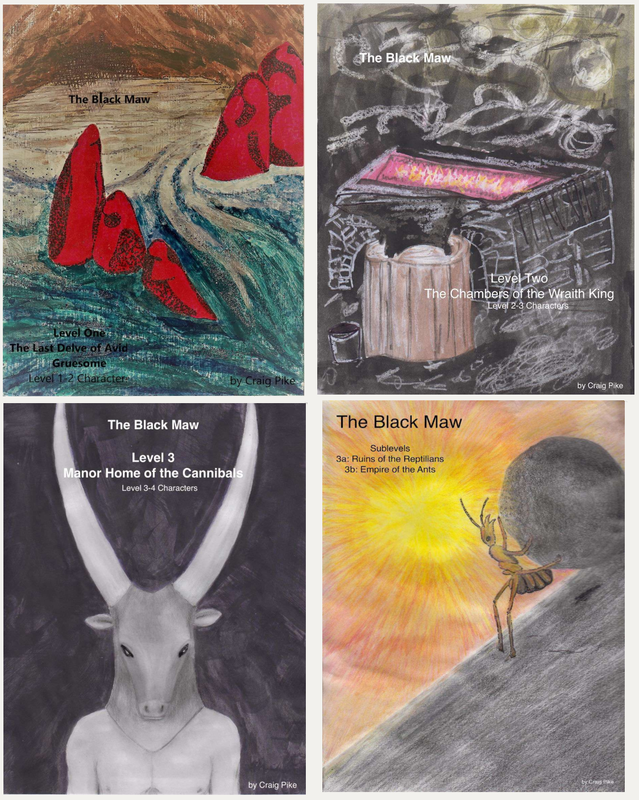 The module is peppered with the author’s diagrams and vignette illustrations; dark and moody graphite pieces which emphasise the tower’s gloomy atmosphere. Atmosphere is an outstanding feature of Sision Tower. It has an iconic look and feel which should stay in one’s memory over the years: just like every player who has been there will remember the Glacial Rift of the Frost Giant Jarl or the Vault of the Drow, Sision Tower is a distinct place. Once a sanctuary of Law and a demesne of angels, it is now gloomy and abandoned. It is a vertical dungeon writ on a vast scale: pretty much a small mountain with a 550’ atrium in the middle, constructed of enormous, cyclopean stone blocks and its rooms connected by vertical shafts and sloping passages. The mournful sound of enormous chimes permeate the mostly empty structure. Sadness and abandonment are moods which are hard to conjure in the context of an adventure game, and themes associated with angels are hard to use without reverting to cheap clichés. Sision Tower succeeds where others have stumbled: its angels are distant and inscrutable seraphic beings, but the tower’s tragedies are readily apparent. This is not a happy place, and it feels properly haunted – not a locale to linger for an extended timespan (indeed, the scenario’s moral conflict lies between trying to resolve the tower’s tragedy while risking death and failure, and looting it in a mercenary fashion before finding a way out). But it is not just about mood. It works as a proper exploration-oriented adventure, too! 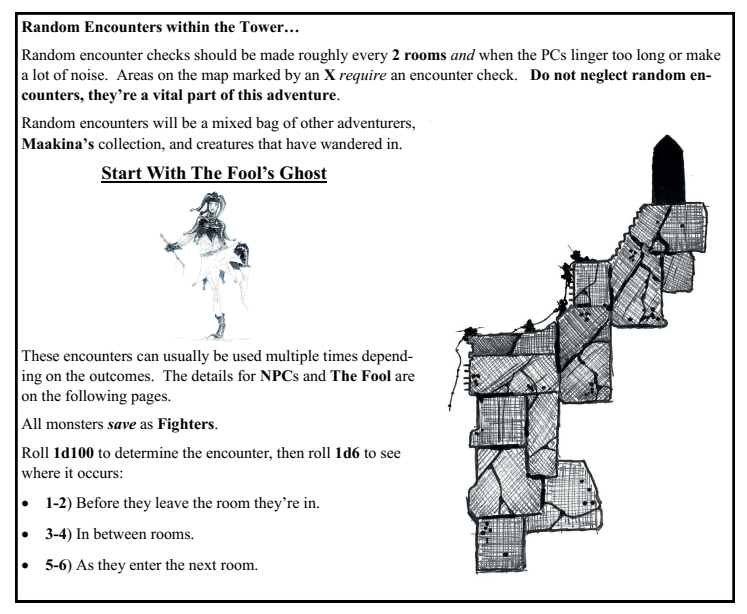 The tower is a great dungeon with good flow, well-designed encounters and a sense of wonder in every nook and cranny. Navigating the out of scale verticality is perhaps the most unusual aspect, one that has a substantial effect on random encounters. The tower’s treasures are cleverly but not arbitrarily hidden, requiring thought to find and claim. The main prizes are sixteen special magic items, whose precise location is randomised among multiple treasure rooms. They are original and interesting, such as an amulet which turns you into a shadow, but carries the risk of staying as one; or a velvet mask which allows you to charm birds. The fixed encounters are excellent set-pieces, allowing the players to take risks, experiment with their own solutions to open-ended problems, and win or lose big depending on their luck and resourcefulness. How to open a trapped chest which has already claimed someone’s life with a poison gas trap? How to explore a submerged passage inhabited by an intelligent giant jellyfish? Is the cursed medusa an asset or a deadly risk? Almost all of the 34 rooms have something to tamper with, with good clues and multiple possible solutions. This tends to bring out the best in players, while offering a different experience for every group. The main challenge, in particular, is deadly, dangerous, and plain damn scary. It requires player bravery to tackle, and the price of failure is not mere death, but eternal suffering. Sision Tower’s rooms are rounded out by random encounters, ranging from nightmare monsters adapted to this environment (sssspiderrrrsssssss) to adventuring parties and magical enigmas. 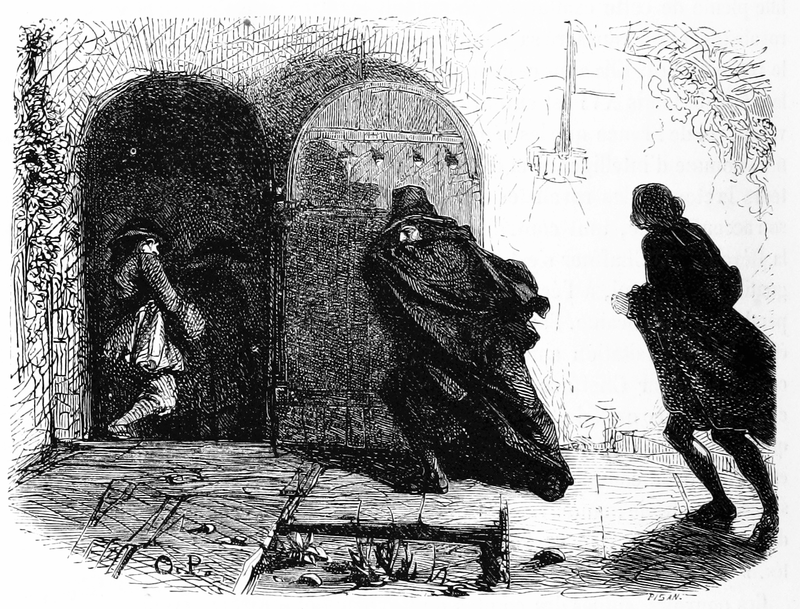 More than simple adversaries, some can provide useful information and equipment; and some represent a non-standard challenge (the Choir Doves whisk away engulfed PCs to a different part of the tower, the Fool’s Ghost is a font of riddles, Lythia’s Purse-Cutters can become enemies or allies, depending on how the encounter with them proceeeds). 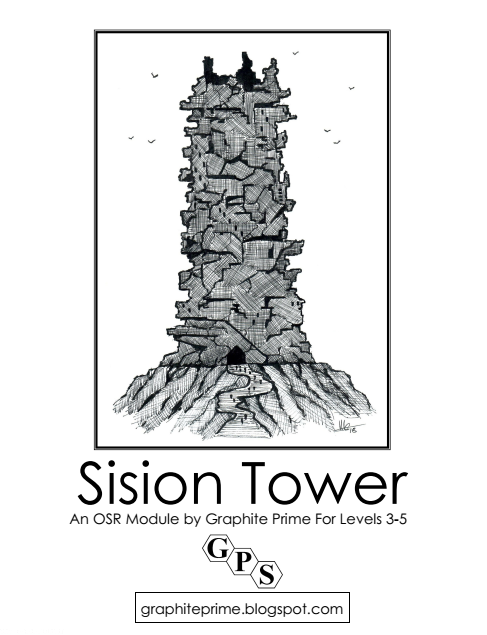 Altogether, Sision Tower is one of the finest adventure modules I have read in recent years. It shines bright in every aspect, combining vivid imagination, competent writing and inventive encounter design. It is not simply an interesting module to read (although it has much to learn from even that way), but one to play or run. As a “wandering” extraplanar location, it can be located in a desolate corner of your preferred campaign setting, and it should prove a session (or two) to remember. Even the obligatory "Weeping Angel Statue" encounter is great in this one! 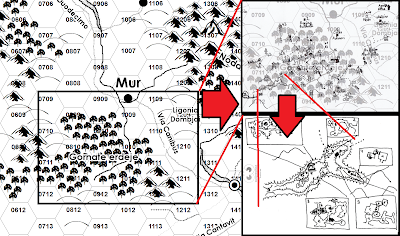 An underlying approach to turn the imaginary world into a game space (hexes or squares, connecting lines, visible landmarks) that can be described by the GM and navigated by the players. Procedures for outdoors expeditions: movement, exploration, encounters, food and other resources, and so forth. Points of interest which give a reason for visiting the wilderness at all, and differentiate going one way from going another way. All three of these points can be satisfied in very different ways, usually with a mix-and-match approach. With a little preparation – or prodigious bullshitting – it is not hard to assemble and run a miniature setting. However, there is an often unaddressed issue which makes a strong difference in how actual wilderness-based campaigns pan out. This is the issue of depth. The concept of deep and shallow settings is familiar. 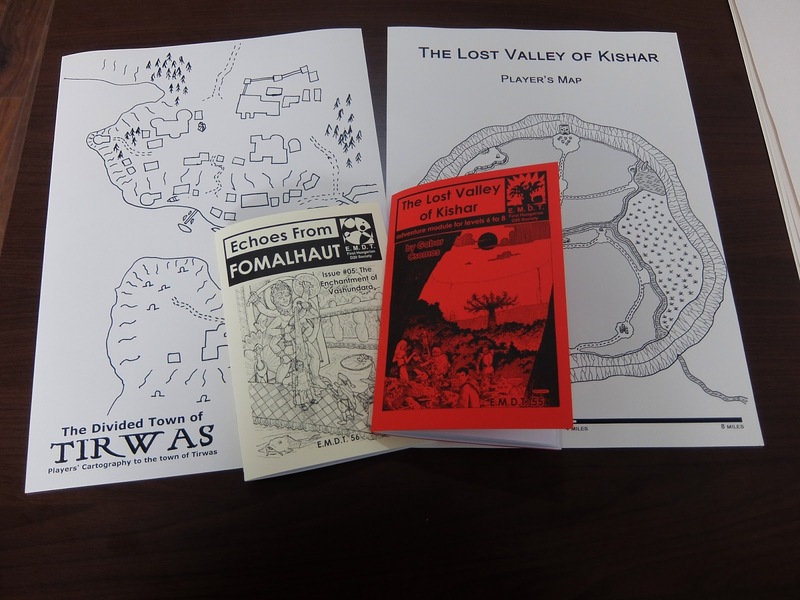 As the idea goes, you can generally sketch out a wide campaign setting in broad strokes, or select a more narrow area, and give it an in-depth treatment where every little corner has something. Doing both is theoretically possible (Tolkien, Greg Stafford and M.A.R. Barker did it, and so did the rather less reputable Ed Greenwood), but the resulting setting may become inaccessible for players, and burdensome or at least very hard to manage for the GM. The question of depth also poses questions for campaigns with a strong wilderness component: this is the subject matter of this post, which highlights the differences between shallow and deep wildernesses. A shallow wilderness stretches far and wide, and its points of interest tend to be individually small and often unassuming – proverbial “grains of sand”. The Lord of Crows maintains a castle in hex 1212; 1214 is the lair of 26 gnolls living in a hilltop encampment surrounded by a palisade; and 1313 is a mysterious obelisk where wise old crows read glyphs only known to their kind. These are mostly encounter-level descriptions; they may be free-standing (like the gnolls) or interrelated (what about the crow motif? 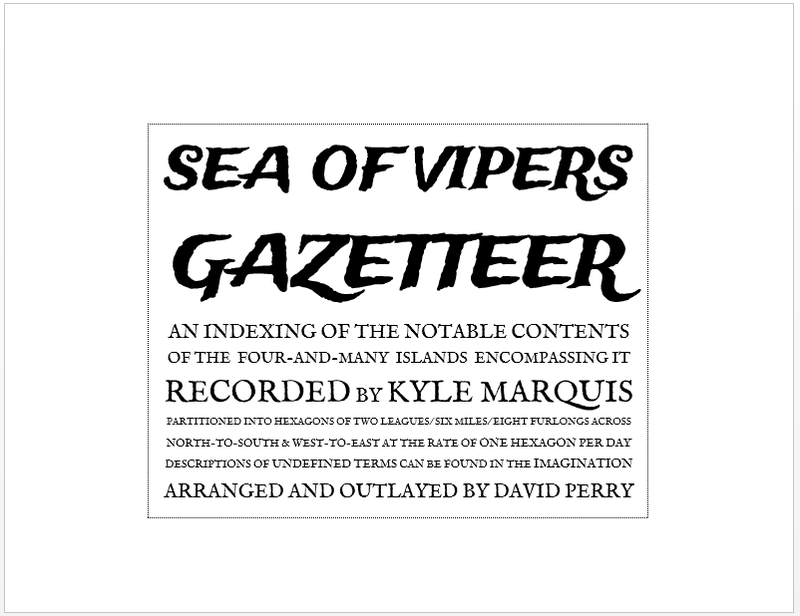 ), smaller and larger, but they are about as complex as your usual dungeon room. There is a single "layer" of adventuring: the wilderness itself. That does not mean there are no cities or villages - but they mostly exist on the encounter level, without going into deeper detail. 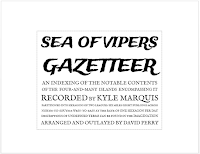 Wilderlands of High Fantasy is of course the main model of this approach, while The Sea of Vipers – which has partly inspired this post – is a more recent one. 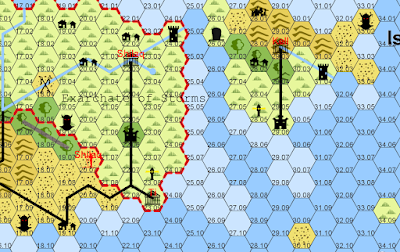 The implications for play point towards lots of travel across a large number of hexes. Travel-related procedures such as random wilderness monsters, getting lost, managing food, and so on become an important aspect of play. Some character resources are going to be less of a going concern (spells and hit points can be replenished through rest), while issues like movement rates and daily random encounter frequency can become a bigger deal. 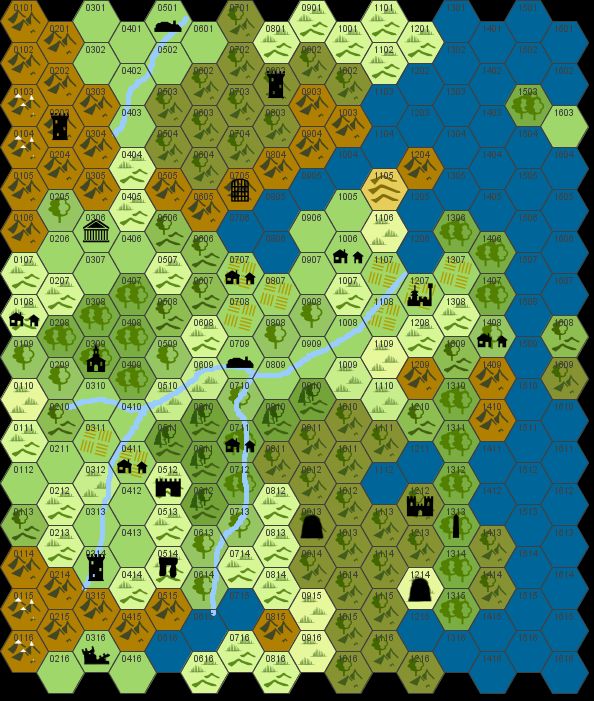 All in all, the wilderness is most of the adventure, at least for a number of sessions: our large 3.0 Wilderlands campaign was mostly one long trek from one dungeon (Necromancer’s Rappan Athuk) to another dungeon (JG’s Dark Tower, although sadly, the campaign ended right before we got there). 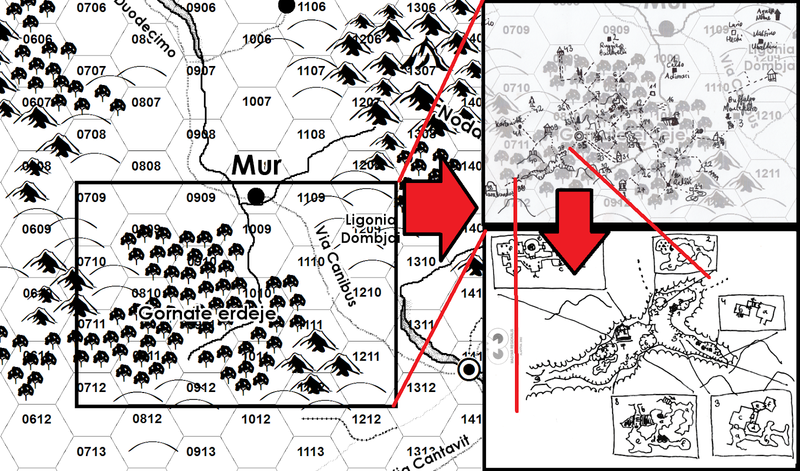 There were diversions and stops along the way, but the game was largely about wandering through the coastal areas of two enormous campaign maps, and wrecking stuff. …and some points on this maps are themselves detailed locations (the town of Mur) or separate dungeons (the Great Cleft; the Villa of Lucretia Vinalli; the Hanging Gardens of Marabundus, etc.). In our case, the Great Cleft has Keep on the Borderlands-style mini-dungeons of its own! Obviously, only selected areas of the broad setting are described in this detail, since it would be extremely time-consuming, not to mention wasteful to extend this treatment to the whole. A deep wilderness setting places somewhat less emphasis on prolonged travel and its associated procedures. In fact, it tends to anchor players in a smaller area; by drawing them to local adventure areas and getting them involved in local conflicts. Once you start getting entangled in the affairs of local nobles, or drawn deeper into the mysteries of the forest, it makes less sense to just cut ties and travel to Frabotia, let alone Thrygia or the borderlands beyond the northern edge of the map. 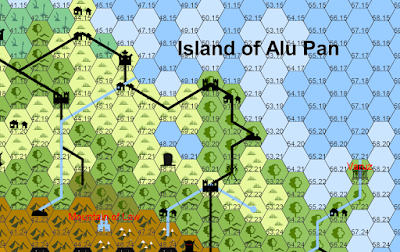 You could play an entire mini-campaign in a limited area – and we had done so in various corners of the Wilderlands (around Tegel village, on the Wormshead peninsula, in the wastelands and island realms around Zothay). The game can develop a complexity which does not happen as much on a long itinerary (which tends to encourage episodic play), and the same locations can be reused to an extent where they become familiar, while they can still reveal new challenges and threats. 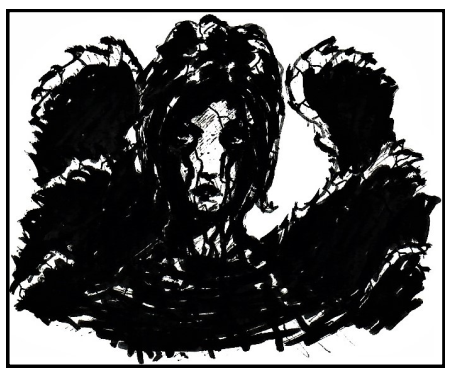 Finding out that the hideout of the beast-cultist was in the Hills of Ligonia all along, or arriving back in Mur to uncover an insurrection plot involving former friends, is an experience. However, you lose the magic of long-range travel: there is something liberating about wide, shallow settings where you can truly head for the horizons to see what is there. At this point, I don’t know if our campaign in Kassadia will evolve in either direction – this is going to be the result of its natural trajectory – but I see potential in both routes. I would like my players to see red-walled Viaskar and its places of pilgrimage, and go toe-to-toe with the savage Harepsi and their rolling fortresses. Yet I would also like to get them involved in complex local schemes and let them discover interconnections and hidden details. And here is the dilemma: time and the natural lifespan of a campaign will limit how much we can grasp; and depth will have a decisive effect on where our adventures will take us. Inspired by reading the recently published Black Maw dungeon levels, and playing in a friend's S&W-based game, I was once again bitten by the megadungeon bug. 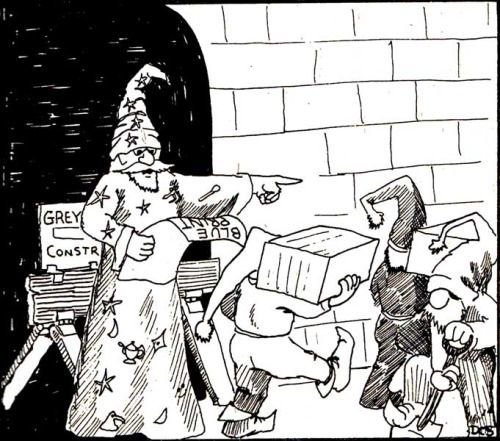 I started putting some thought into running a canonical OD&D dungeon exploration game – the proverbial huge ruined pile built by generations of wizards and insane geniuses. Nothing Castle Greyhawk-sized (thus, not something that would accommodate multiple parties playing 24/7), but hefty enough to feel expansive and mysterious, and true to the tone of the three booklets. To avoid overreach, and give myself some structure, I decided to stick to a brief keying style I experimented with in Zuard Castle, an older thought experiment (but with just a bit more detail). In fact, Zuard Castle became the base for the dungeons of Morthimion. This, after all, is a somewhat TRV OD&D-style megadungeon: a nonlinear maze with a bunch of level connections, undergoing continuous expansion, featuring a mix of whimsical and dangerous stuff, and varying its themes just enough to feel fresh while sticking to common elements which serve as a sort of glue to bind it together. The intro – one mid-length paragraph in all, again a sign of TRV good taste – itself establishes it as an anything goes place, “occupied time and again by civilisations both ancient and recent”. The dungeon’s common tissue is based on these different groups of (mostly) intelligent monsters coexisting in various forms of truce or conflict. “Dungeon factions” is fairly elementary these days, sometimes reduced to meme level to the extent that it comes across as suspicious – but it is fairly well realised here. Ordinary monster types are given a twist – dwarves are religious sectarians, goblins are kinda-Victorian gentlemen “in tattered waistcoats and tophats”, troglodytes are murderous alien reptilians, and ghouls are refined, somewhat bored aesthetes. Not my aesthetics, but credit where credit’s due: they work within the context of this personal dungeon, and they form the “rules of the game” the characters may choose to engage with, subvert, or ignore. What makes me happy are the “special” NPCs found on different levels. These are inventive vignettes, never overdone, with a lot of idiosyncratic colour. The resulting network has multiple benefits. 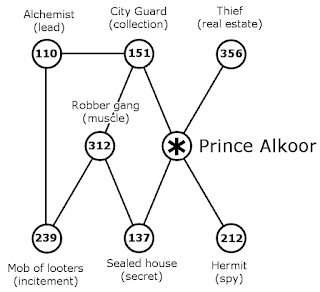 It shows who is associated with whom, and it also shows which way clues lead from one point to the next while the characters are investigating the network. The links can, furthermore, represent command structures, dependencies, and especially the conduit of information. They can be one-sided (marked with an arrow) or mutual. Stronger links may be marked with bold lines, and weak, tentative ones with dashed ones. Some connections can be dead ends, but important nodes – the „heart” of the conspiracy – should be located close to the centre, approachable from multiple directions. The deeper details of a network usually follow logically from the connected nexus points. With some more rolling and interpretation, the random entries yield a decent criminal enterprise. It appears that Alkoor’s game is to expropriate plebeians through aggressive tax-collection (151), as well as inciting looters in the slum areas (239). He buys up properties on the cheap, and sells them through one of his agents, a skilled thief named Smardis (356). 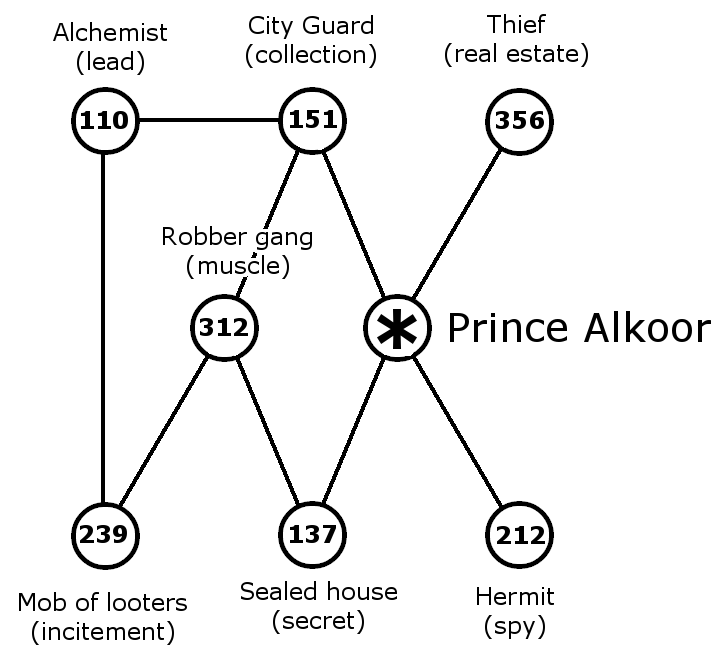 Alkoor is mostly careful to work through intermediaries, a loyal robber gang (312), placing his orders in a secret meeting room in a sealed house (137). However, a more immediate connection can also be established via the City Guard – perhaps he has been stepping up the collection efforts and leaning on the officials. This is only part of his racket, though – and perhaps an entirely lawful one!